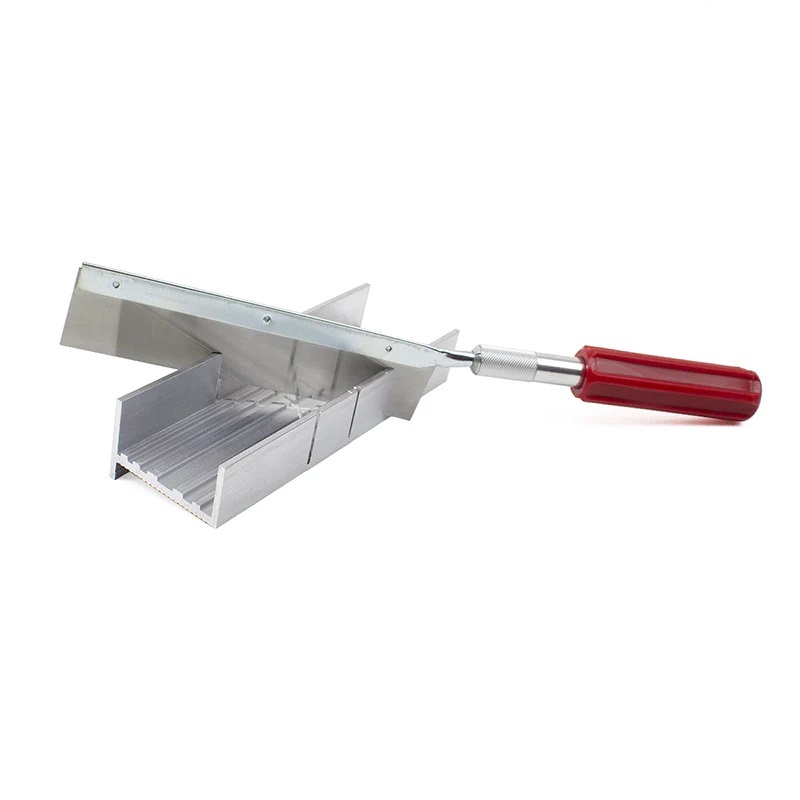 Aluminum miter box with 1/16, 3/32, 1/8, 5/32, 3/16 and 1/4 inch slots to hold narrow strips of wood or metal. Two 45 degree and one 90 degree cutting slots, machined for accuracy. 3/4 inch x 1-3/4 inch capacity. 5-1/4 inches long. Includes handle and one 1-1/4 inch deep x 5 inch long 24 tpi steel blade. Better than trying it "free hand." I use this for a number of projects, but mostly for cutting carbon and aluminum arrows shafts. It's a great alternative to those expensive arrow saws.